with skillful hands he led them (NIV). Up to this point Psalm 78 has catalogued a long list of Israel’s transgressions. They have been a stubborn and rebellious people who have been unfaithful to the LORD. They have been unfaithful despite His mercy and the miracles He has performed on their behalf. 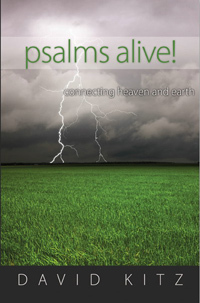 Now this final portion of the psalm represents a turning point in the history of the nation. Once again, the LORD intervened in the affairs of Israel. He chose David his servant and took him from the sheep pens; from tending the sheep he brought him to be the shepherd of his people Jacob, of Israel his inheritance. God chose a man; He chose a leader. Often the LORD chooses the most unlikely candidates for leadership. He did not go to the palace; He went to the sheep pen. He overlooked Jonathan, the courageous royal son of Saul, and instead He called out David, the youngest son of Jesse—a man after God’s own heart. What does God consider when He looks for a leader? When selecting the next king, the prophet Samuel was told, “The LORD does not look at the things people look at. People look at the outward appearance, but the LORD looks at the heart” (1 Samuel 16:7). The LORD is not looking for physical strength or a handsome face, but he is looking for integrity of heart. That should give hope to every one of us. I cannot change my stature or significantly alter my appearance, but through repentance and faith I can change the condition of my heart. Response: LORD God, I want a heart of integrity—a heart that is pleasing to you. Help me to become an instrument that you will use for your good purpose in this strife-torn world. Amen. Your Turn: Can we change our hearts or is that God’s job? What role do we play?